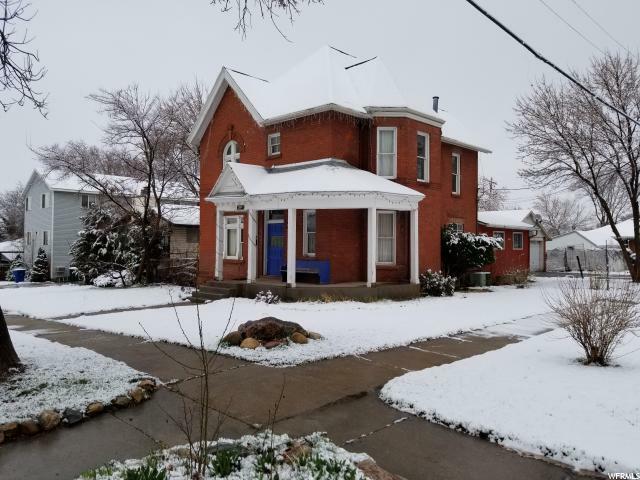 All NOB HILL homes currently listed for sale in Ogden as of 04/20/2019 are shown below. You can change the search criteria at any time by pressing the 'Change Search' button below. "*** ONE OF A KIND *** Unique opportunity here to snap up this turn of the century home. This is your chance to restore an 1800's mansion with an incredible history. Perched on Ogden's east bench, the home is located 5 min. from Weber State, 5 min. from downtown, and 10 min to 1-15. A unique design and excellent hardwood floor and banisters give the home an elegant feel. Includes a spacious two car garage. Here is the home's story: This 1891 historic beauty was designed by Ogden architect, William W. Fife. It's builder was Thomas J. Poorman, and supposedly a beam in the attic is inscribed with his name. The interior is graced by beatiful woodwork. The massive styling of the house is typical of the 1890's, when masculine tastes superseded the French and Gothic-English influences of Mid-Victorian architecture. The interior of the home is based on the Victorian central-block plan with projecting bays in the dining room and entry foyer. Ornate Victorian woodwork is found throughout the house with the unusual staircase incorporating elaborately handcrafted balusters, newels and paneling. Ferdinand & Emma LaFrentz were first to occupy the home. The couple had three children: Olga, Arthur & Hazel (who was born in the home). Mr. LaFrentz was a man of means, working in the business of finance and real estate. He later published a book of poetry called Cowboy stuff. Later the home belonged to Leland H. Creer, President of Weber College from 1935-37."